Until about six years ago, I had never even considered the fact that I might one day be designing crochet patterns. If you told me that I would be spending every available moment crocheting, making, and writing (in between work, kids, and my husband), I would have laughed! Fast forward six years and I have designed toys and cushions, blankets and baskets, rugs and accessories…but never a tea cozy. On our second date, Christiaan asked me if I wanted tea. This in itself was odd, because South African guys don’t ask if you want tea, they ask if you want coffee (or something stronger). I politely accepted (even though I really wanted coffee). He pottered into the kitchen and came out 5 minutes later with a tray. On the tray was two cups, a sugar bowl, a little milk jug, and a teapot…with a tea cozy on it! No man had ever made me tea in a teapot with a tea cozy on it!! That was the first of many “I want to marry this guy” moments. The teapot you see in these photos is one we bought in our first year of marriage, ten years ago now. It holds sentimental value for both of us. Even so, in all those ten years, it has never had a cozy to call its own. So, when Amanda from Little Box of Crochet asked me if I wanted to design a tea cozy for her October subscription box, I said yes immediately!! 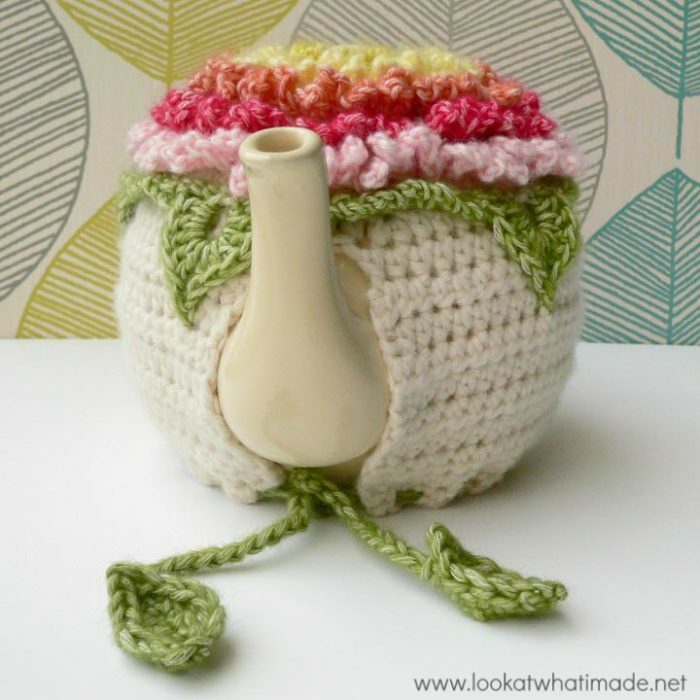 …and added some leaves and a drawstring to make it easier to fit the cozy to different-sized teapots. 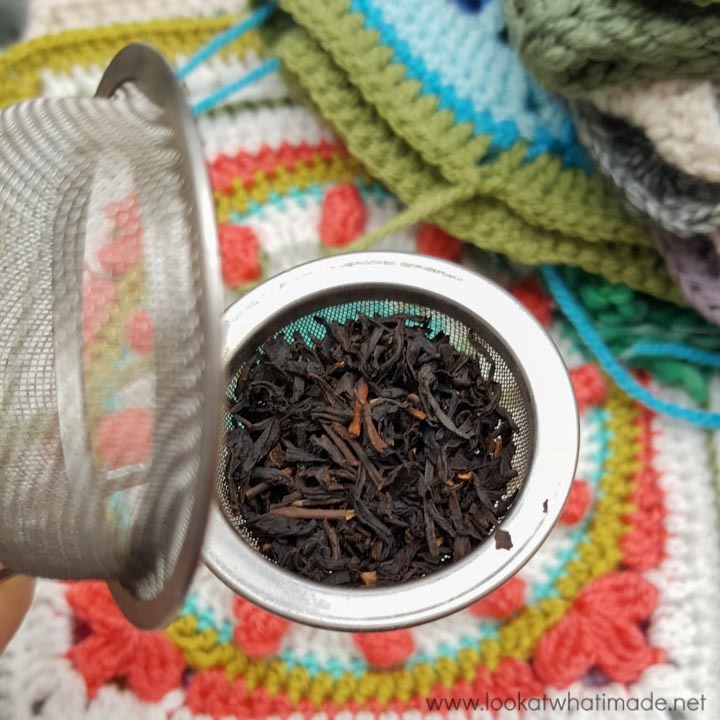 Now I am in love with my tea cozy, and every time I look at my teapot, all content in its new frock, I remember that first pot of tea Christiaan made me and I smile! 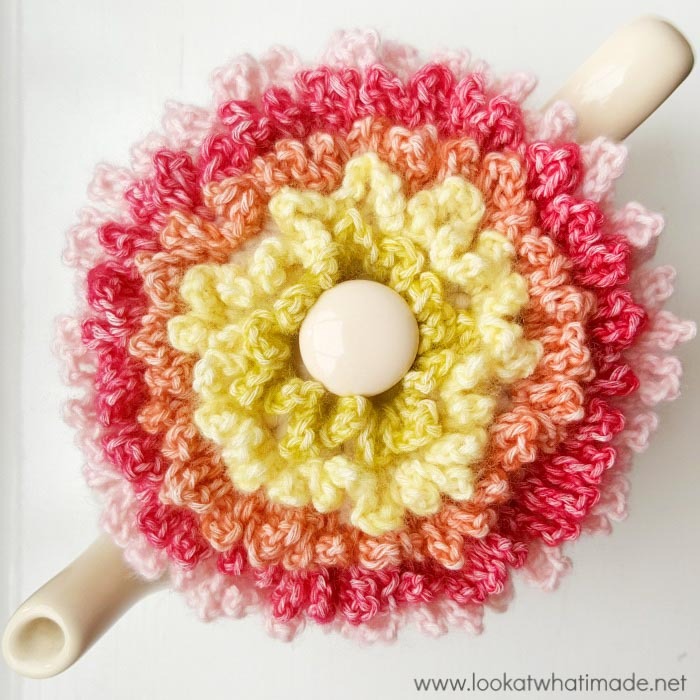 The pattern for the Floral Teacozy is part of the October Little Box of Crochet. 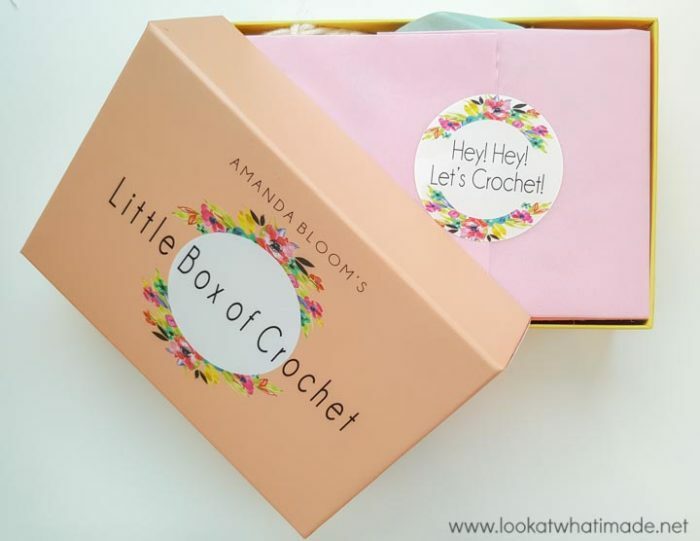 You can subscribe to Little Box of Crochet HERE. The boxes are sent out monthly, and each box contains everything you need to create the pattern for that specific month (yarn, hook, bodkin, pattern booklet) as well as a few other goodies like a stitch marker from Koru Tumi (this month’s one is a jammy biscuit) and a steamwaverz. Edit: the pattern for the Floral Tea Cozy can now be bought as a booklet in Amanda’s Store on Ebay. Since making my tea cozy, I have also developed a thing for ‘fancy’ tea. I blame Jenny, because she introduced me to Tea Shirt Tea. My favourite is their Lapsang, the woodsmokey scent of which throws me back into childhood quite viscerally. I also love their Rooibos blends. Before I go, one last photo of my Floral Teacozy. Doesn’t that just make you happy? 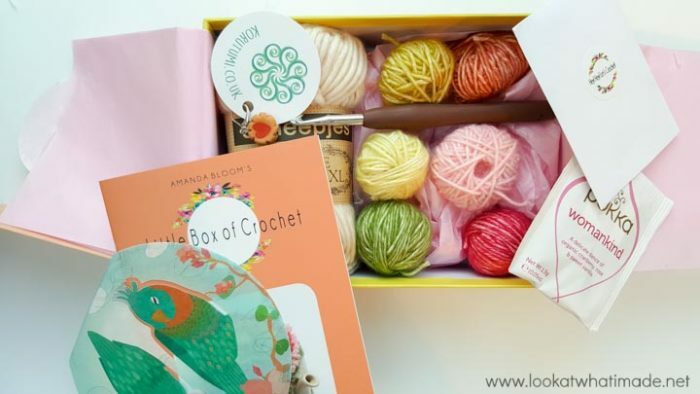 I would like to thank Amanda for letting me be part of her Little Box of Crochet journey. I had such a lot of fun designing this cozy. If you have already received your October Little Box, please share your photos on Instagram using hashtag #littleboxofcrochet and #dedriuys. I have just finished my tea cosy and I love it. Your instructions were easy to follow. I love your newsletters. 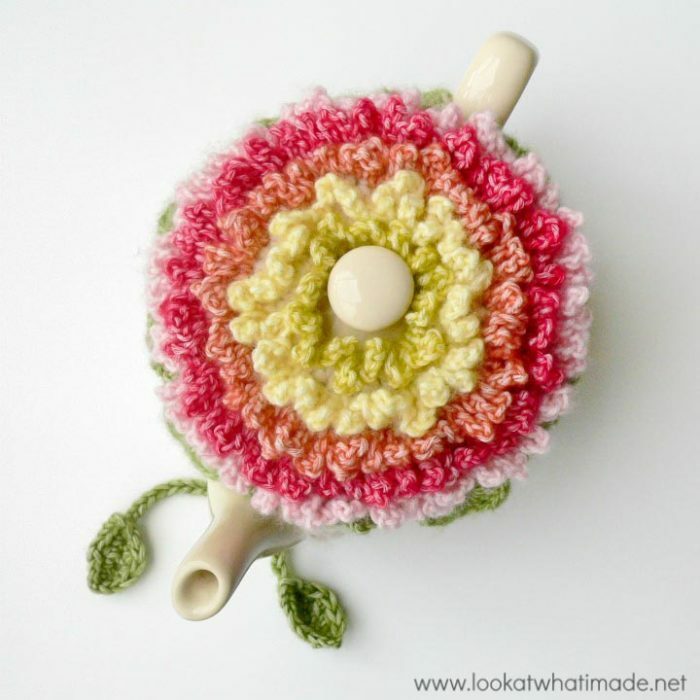 I only wish I could subscribe to the Little Box of Crochet too especally to receive the pattern for the beautiful tea cosy but unfortunately I live in Australia and its not possible. I also think a sugar bowl and creamer jug would look pretty to match. Keep up the creating. This pattern is exclusive to Little Box of Crochet and will not be available on the blog, sorry. I love your cozy and the story to go with it. 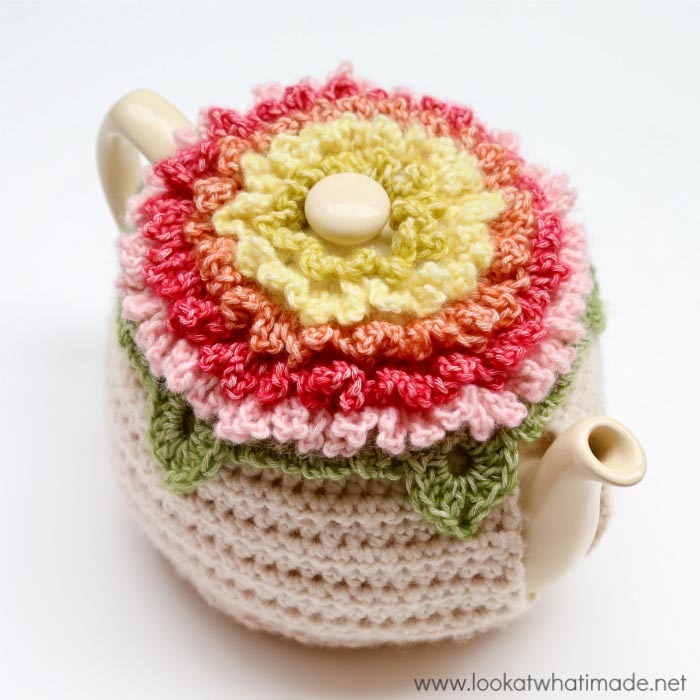 I am a dyed in the wool tea drinker and up until I had met my husband’s family, I had never seen a tea cozy. We drank tea by the cup growing up. Being 2nd generation Irish my husband and his drank tea by the boat load and there was always a pot around with a cozy on it and tea in it. If you are ever designing again, you might try a different style cozy: the cozies my mother-in-law had covered the entire pot, spout and all. You took the cozy off and used it over your hand as a pot holder to hold the hot pot handle as you poured. I have always sen cozies this way, but your is so pretty, I think I will have to try making one. That sounds interesting, Yetta. I’m guessing the teapots you talk about are the metal ones that live on the stove? I’m so pleased you like it, Amanda. Thank you for helping me tweak the design.